One-piece, drawn cold rolled steel with white powder coated steel finish. 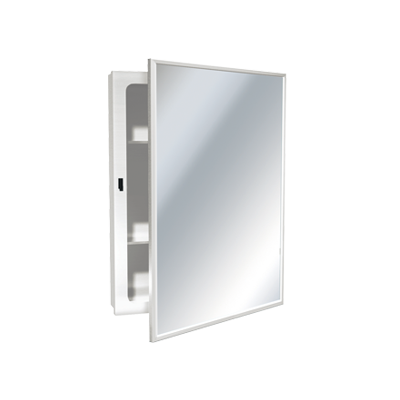 Stainless steel channel framed mirrored door with ¼” (6 mm) thick plate glass, has continuous piano hinge and magnetic catch. Two adjustable white enamel steel shelves.